Get the latest Women's fashion ideas in an easiest way and at affordable prices. Our wide selection of women clothing include dress, T-shirt, tunic, jeans and other accessories which allow you to get a global view about season's hottest trends. 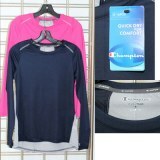 CHAMPION L/S ACTIVE TOP 24pcs. 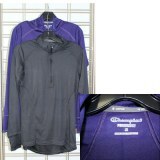 CHAMPION ladies L/S 1/4 ZIP 24pcs. Find every ads of every professionals Women clothing.